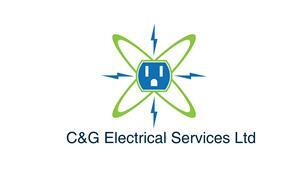 C&G Electrical Services Ltd - Electrician based in Swindon, Wiltshire. C & G Electrical Services Ltd is a new partnership company, with 28+ years experience in high quality electrical installations. We set up in order to meet the demands and needs of our growing client base from Swindon and surrounding areas. We are a Stroma Electrical Approved company and alongside this we are Part P registered, and this is a well recognised governing body in the field of electrical installation. We cover all aspects of electrical work, this ranges from small domestic installations to larger commercial installations. We virtually do any size job “no job is too small” from an additional socket through to a complete new re-wire and new installation working in both domestic properties and commercial buildings. We provide our customers with a high quality, reliable, and a personal service, making sure that the customers needs is our main priority and offering peace of mind knowing that the project that we undertake is in safe hands. We provide a prompt personal and professional service at all times. Please contact us for a free, no hassle and a no obligation quote.